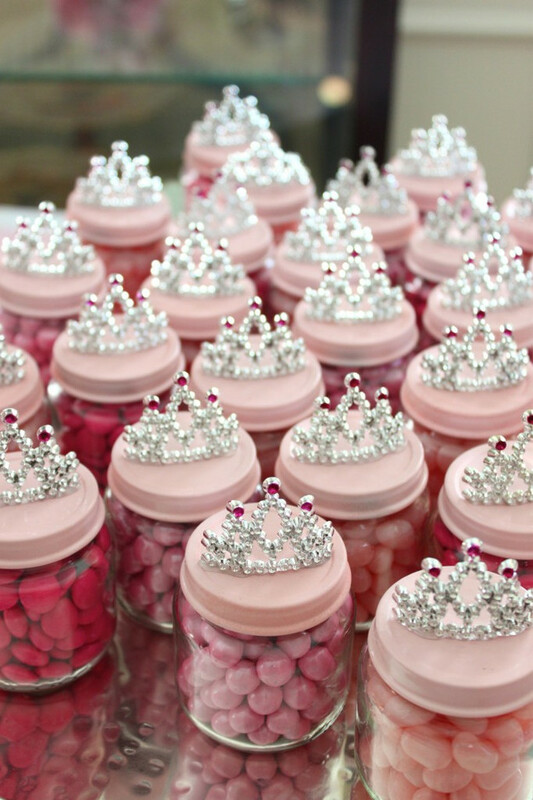 Need to organise a girl's princess party, and feeling stuck for inspiration? Hopefully we can help. 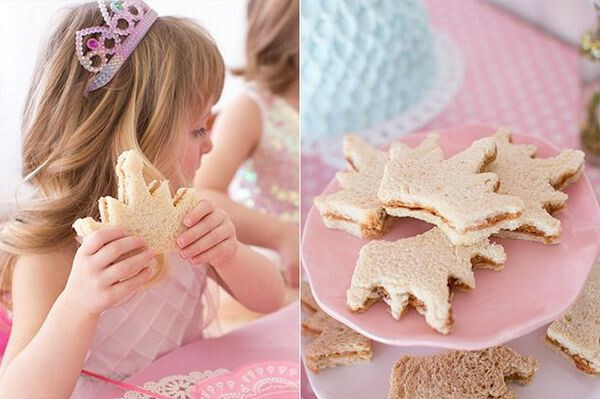 We've found some beautiful and inspirational ideas for the perfect DIY princess party. So, let's get that royal carriage rolling! 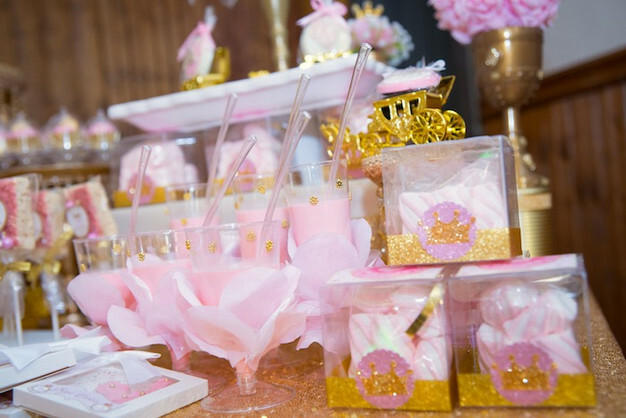 Pink & Gold is a crowd favourite for a princess party theme, but pink & white or pink & silver will work just as well. 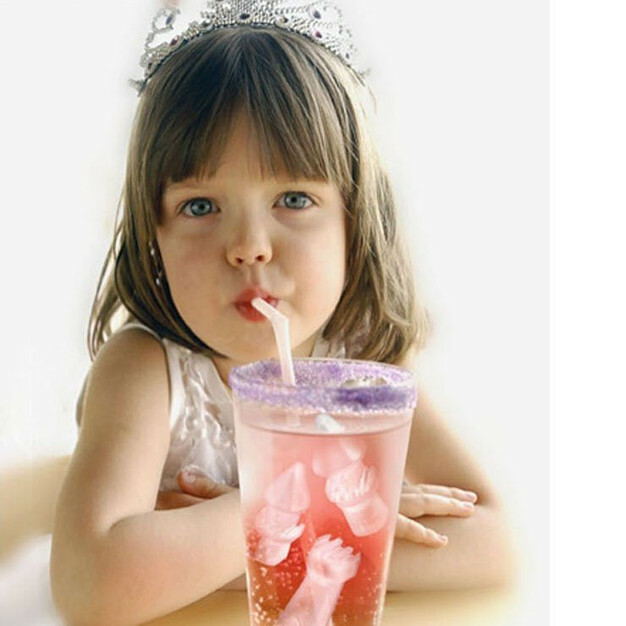 If your princess is not a fan of pink, perhaps purple or mauve would make a good alternative. 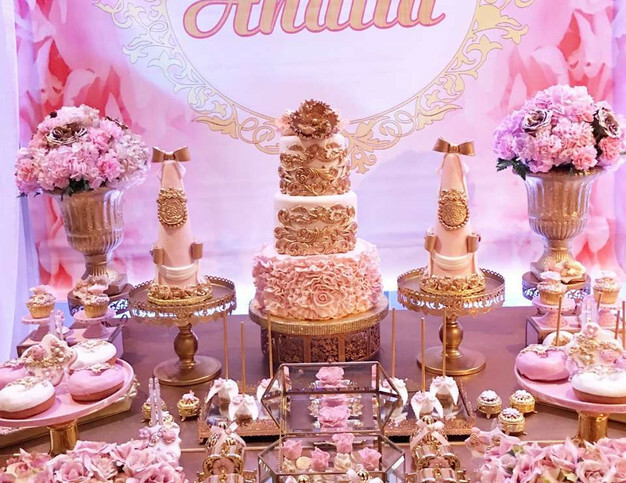 See this beautiful pink & gold party at Kara's Party Ideas, submitted by Dilrukshi Senerat of Dammin Senerat Photography. Your party invitations will set the scene for your party guests, so planning ahead is worthwhile. Purchasing invitations with coordinating decorations makes the process of setting your party theme much easier. These can be purchased pre-printed, or as DIY templates. Or, if you're crafty, try making your own. It is possible to create a royal atmosphere, even on a budget. Below are some great ideas. Set the Scene. Create a royal entrance with a pink carpet! Lay down several metres of pretty pink fabric leading into the party venue. If outdoors, tie pink balloons to golf tees and stick them into the ground on either side of the fabric, to provide a grand walkway for your guests. Perhaps hand out gift tiaras or crowns to each guest as they arrive. Blow it up. Balloons are a lovely and cost effective way to decorate any party room, especially with ribbon or curling ribbon tied, covered in tulle, or filled with pink and gold confetti. Fabricate. Pink tulle can be used as curtains, wrapped on table displays and tied to the backs of chairs. Alternatively, a tulle canopy can be used as a feature. Including tinsel and Christmas tree baubles are another affordable method of adding royal glamour. 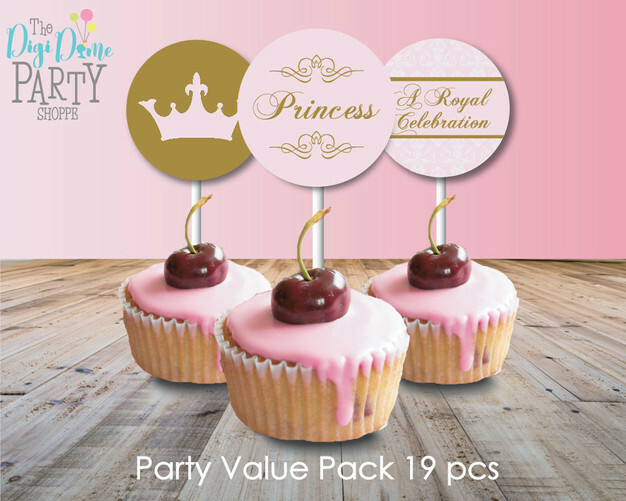 Printable decor is a very quick, easy and cost effective way to decorate your party venue and provide favours for your royal guests. 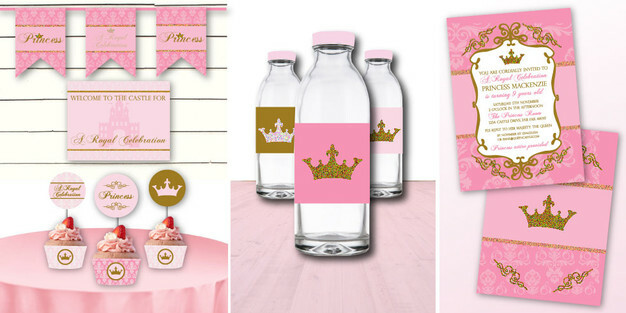 A selection of princess party printables are available at our Online Shop. These include decorations such as banners, tabletop printables and labels, activities such as colouring-in pages and craft items, and party favours such as placemats, tiaras and gift boxes. Good to Know offer some wonderful ideas for DIY party craft and decorating here. Crafty Morning shows you how to make these gorgeous DIY favours from baby jars here. In keeping with a royal theme, a high-tea atmosphere is a good start for any princess celebration. Below are some suggestions. Pretty in Pink. It's no secret that princess love pink! Keeping it pink can be as simple as serving pink lemonade, or fruit smoothies with pink iced cupcakes, coconut ice, pink & white marshmallows and strawberry mousse. Better Crocker offers some amazing party food ideas, such as these crown sandwiches, here. 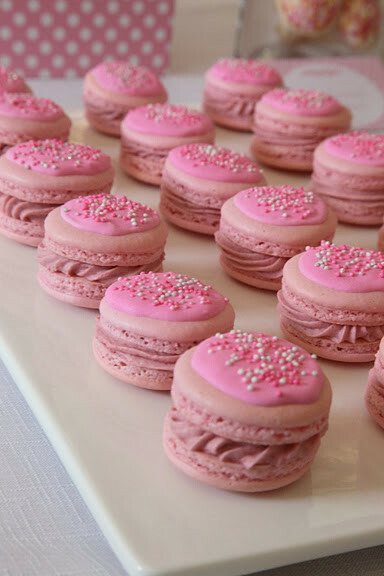 Kara's Party Ideas offer some great ideas for pink food here. Cooking Classy contains a recipe tutorial for pink popcorn here. 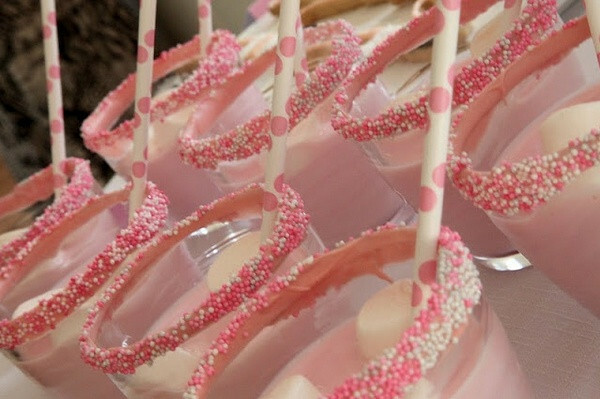 Add some themed ice cubes to your pink drinks, such as these. Catch My Party contains further inspiration for princess parties here and here. Make Fabulous Cakes showcases her fabulous pink & gold princess cake here. Now, are you ready for your FREE party printable? 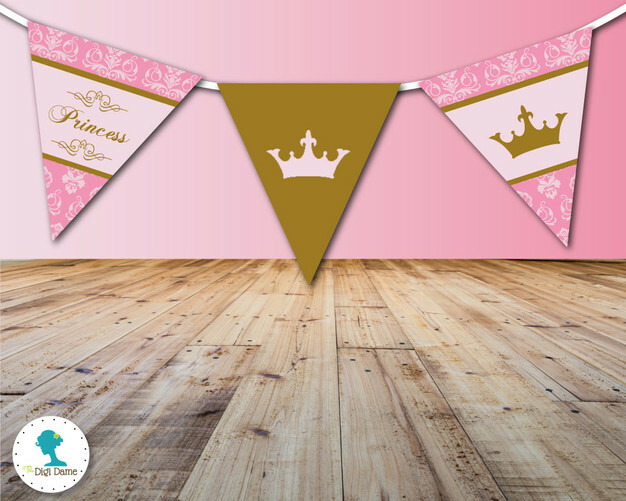 To celebrate all things princess and to get you started on your party plans, we are giving away a sample from our Princess Crown Party Printables Pack. Want more party printables ABSOLUTELY FREE? Join Our Party and Become a DigiHood member! So, that's it! We hope you have found some inspiration from these gorgeous examples and are now ready to plan your royal gala!